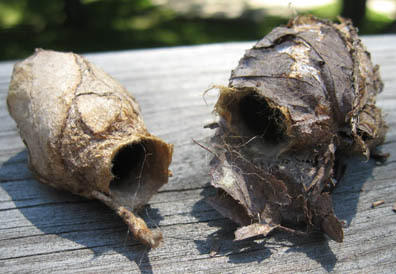 Once upon a time, circa November 20, 2007, I was doing some yardwork and found this cocoon under a shrub. 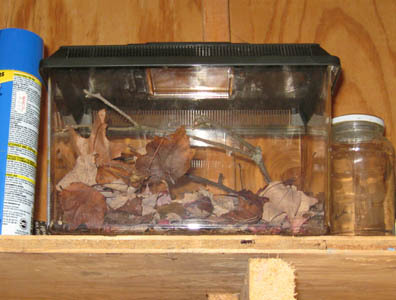 So I put the cocoon in one of those plastic-type terrarium containers with some leaves and placed it on a shelf in the unheated shed in my backyard. It was a long, cold winter. 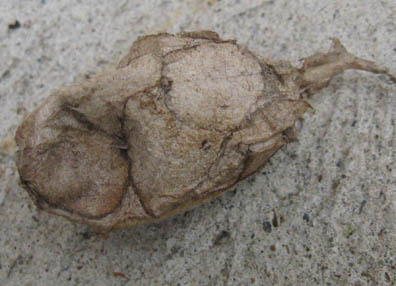 On May 17, 2008, I found this cocoon in my yard as well. It was out in the open and dented - it looked like some sort of animal had been trying to eat it. I put it in with the other cocoon and brought the terrarium in the house, so I could keep an eye on it. 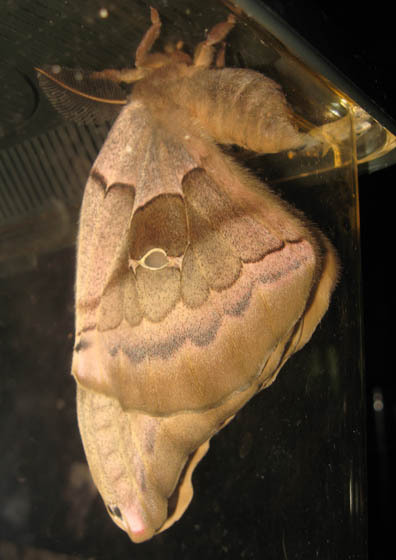 On June 10th this giant Polyphemus moth emerged from the second cocoon that I found. Its bushy antennae indicate that it's a male. 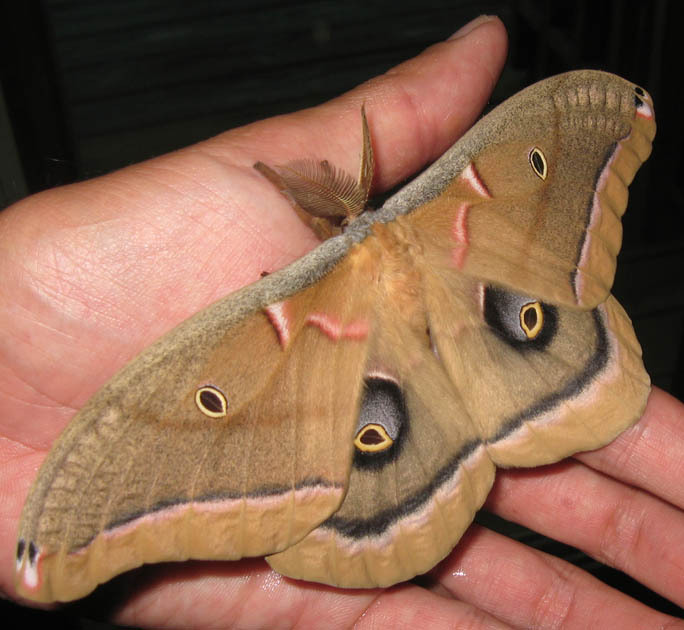 Polyphemus moths only live for a few days - they do not eat. 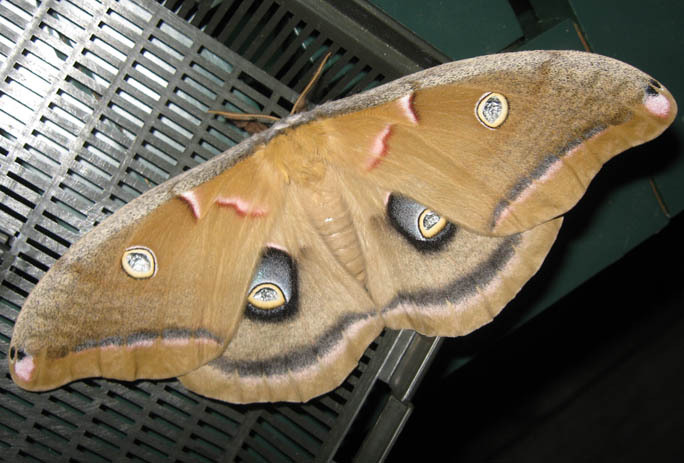 Polyphemus can have wingspans of six inches. 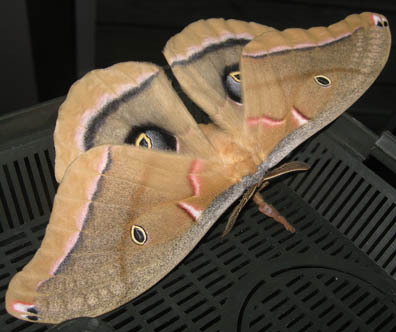 They get their name from the "eye spots" in their back wings (Polyphemus was the cyclops in Greek mythology and the book "The Odyssey"). 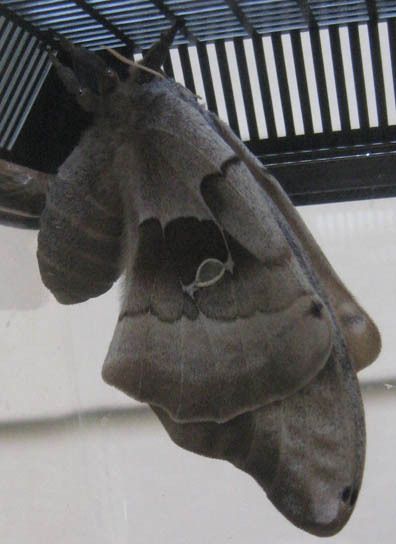 On June 14th a female Polyphemus emerged from the first cocoon that I found. I left her on the deck that evening, expecting her to fly off into the night. 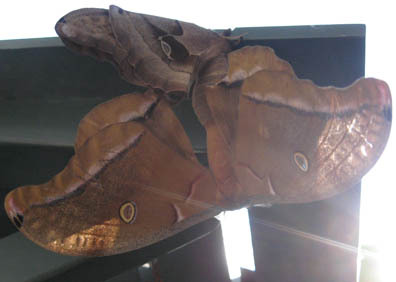 The following morning the female was still there, mating with a male (female moths attract males with pheromones). Will this mean more Polyphemus in 2009? Let's hope so!